Hands are useful to work with and they are also social communication tools. 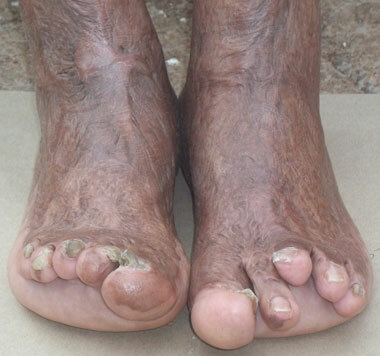 If their appearance looks or feels unpleasant, it affects everything that the burns survivor does in life. 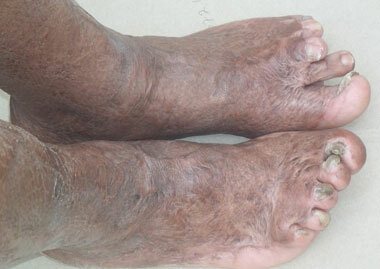 Burned feet however are much-neglected because people think that they can be concealed in shoes. 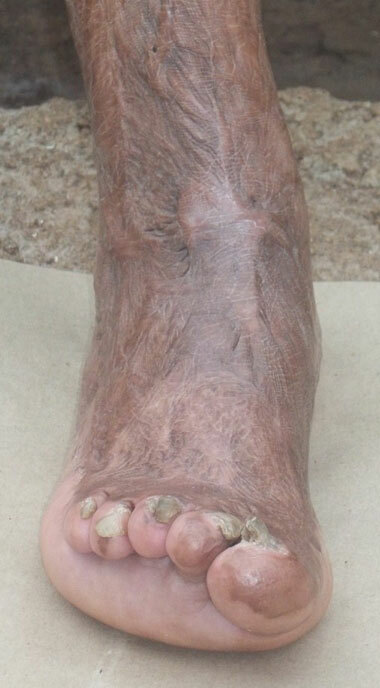 The splinting of burned feet upon admission to hospital is just as vital as the splinting of hands. There should always be a skilled occupational therapist available. And surgery within a year of injury, to graft on the top of the foot and to k-wire the digits, so that toes can remain in their natural position (or regain their natural position) is essential. Keep children away from orthopaedic surgeons because they are far to happy to excise toes without consultation or thoroughly-informed consent. Those toes are needed for balance just as much as for aesthetics. And burn-shortened toes in infancy can grow into more useful, more normal-length toes as the child grows... but not if they are cut off! Girls particularly, want pretty feet so that they can wear pretty shoes... including flip-flops where the gap between the big toe and the adjacent toe cannot be too large. All children that we have helped, would rather keep an unusually short toe than have it removed for the surgeon's visual comfort. The children want the right number of toes - the same number that they were born with. The baby whose feet were burned when his Mum put him into a too-hot bath; or the toddler caught in the viciousness of a veldt (prairie / moorland) fire; cannot speak out and say: "One day I'll be a girl going to my end-of-school dance and I'll want to wear lovely shoes," so the surgeon must think ten to 15 years ahead for his patient and make the wisest kindest decision possible. Twisted, contorted feet cause life-long problems with gait and extend the physical damage from feet up to other previously-undamaged areas of the body, as knee joints and hip joints become affected by the patient's inability to walk properly. 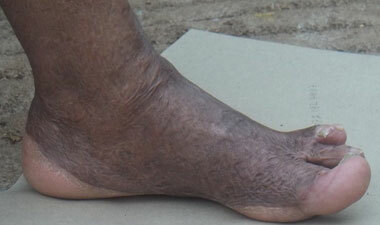 Many of our children with injured feet need special shoes made. Help please. And many need very tough toe nail clippers. Help please. Most of all, they need good surgery, quickly. And follow up operations as they grow older. 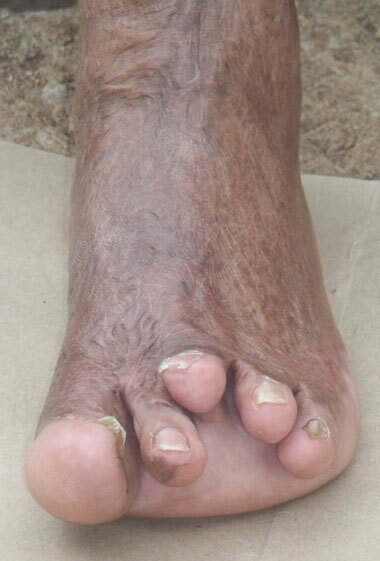 The photos here are the feet of a boy set alight by his stepfather when he was about five years old, in South Africa. His mother died in the same fire.